Tottenham: However, this is the first time that Tottenham faces its great city rival as home team at national stadium Wembley, and it will be very interesting to see how it will handle the situation. True, the Spurs are in a fairly good mood ahead of this match between two London based teams, given they are undefeated in last 11 games. In last two league matches Tottenham won Manchester United 2-0 at home, and somewhat luckily drew with Liverpool 2-2 away. In that way the Spurs have stayed in the race for positions that lead toward the Champions League as they have just one point fewer than 4th-placed Chelsea and two than 3rd-placed Liverpool at the moment. We have said that 6th-placed Arsenal lags behind them for six points. The Spurs eliminated lower-league Newport last week from the FA Cup and qualified for its round of 16, despite playing with the 2nd team. Now against Arsenal we expect to see the same 11 players who faced Liverpool, especially as they have no problems with absences. Arsenal: Regarding the second London based team, this match at the Wembley comes for them after sound league victory over Everton by even 5-1, which confirmed once again that the Gunners play much better at home than away recently. Before that Arsenal won at the Emirates Crystal Palace in the league and Chelsea in replay match of the League Cup semi-finals, which qualified them for the great final in which will face this season fantastic Manchester City. On the other hand, Arsenal returned empty handed from last two away matches played in the league with Bournemouth and Swansea, which is why it has four points fewer than the 5th-placed Tottenham at the moment. However, sound victory over Everton has certainly raised their self-confidence ahead of match with the Spurs, especially as two newcomers Mkhitaryan and Aubameyang are doing just fine in the new team, while on the other hand goalkeeper Cahca and defender Montreal are questionable due to minor injuries, while definitely out of action for this match is midfielder Cazorla. 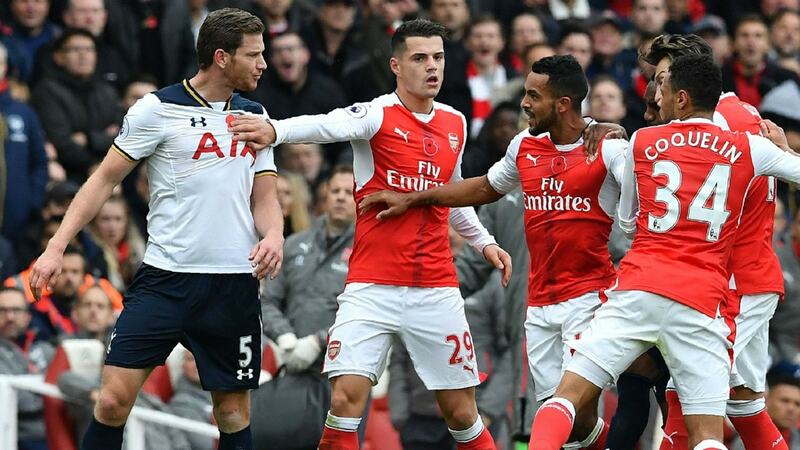 Although the Gunners played excellently against Everton in previous round it is fact that the Spurs are in a bit better shape ahead of their head-to-head, which is why we have decided to play here on their victory.